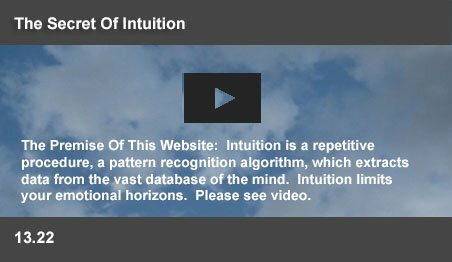 This website explores the unknown, based on a simple, but powerful insight about the enigma of the human mind. Many eminent scientists, in the fields of quantum mechanics, neural networks, artificial intelligence and cognitive science have sought to uncover the underlying mechanism of the mind. Surprisingly, among numerous theories, there is not a single one, which can explain common sense, or love and compassion. In order to understand the functions of nerve cells, scientific research should move away from its present computational model and seek to evaluate a pattern recognition model. It is impossible for computation to explain the massive subtlety of the mind. Can an adding machine feel compassion? This website presents the brilliant insight that your mind senses patterns. By evaluating molecules in the air, your nose senses the fragrance of a flower. From that humble beginning, you can understand why you stand in awe of a sunset, or weep in anguish at the loss of a loved one. The concept can lead to innumerable explanations of how the mind works. The "Mind Computes" view of science makes it impossible to explain common sense, or love. Neither do the current scientific theories explain the subtlety of a smile. But, the creative concept that the mind recognizes patterns logically explains a million such mysteries. Funding limitations compel science to take small incremental steps rather than attempt an uncertain leap into a new view of the mind. A focus on pattern recognition by the mind can offer an opportunity for many resounding successes for the scientific establishment. The maths approach fails to explain the mind. Yet many dedicated portions of the nervous system are acknowledged to recognize unique patterns. Only a prodigious memory and not computation can explain the subtlety of the mind. The existence of a massive memory has already been uncovered with the recently discovered principle of combinatorial coding for pattern recognition. Intuition enables the mind to extract contextual knowledge from its own galactic database. Intuition remains to be the elemental discovery of science. In presenting this fundamental insight, this website does not follow the traditional scientific methods of presenting this data. If these concepts correlate to your experience and link together in a common sense way, then imagine how that global view can benefit you! By avoiding medical/software terminology, external references and jargon, this website seeks to enable an interested reader to grasp the power of a grand concept. Science does point to the complexity of the mind. Typically, Karl Friston compared the assembled knowledge in the nervous system to the accumulated complexity of waves in a pond. He suggested that those waves carried memories of turbulences created by all the raindrops, or even pebbles, which ever fell into the pond. The concept powerfully pictures an unimaginable complexity. But, it completely fails to explain instant identification of a single memory; or your ability to comprehend the difference between a smile and a grin. Sadly, the simple idea that the whole mind senses patterns is unlikely to be accepted by mainstream science any time soon. Because, the concept covers too wide a territory and demands too many explanations. It is as untimely as a round earth theory would have been 2300 years ago. Those were the times of Aristotle, the founder of modern science. Gravity was yet to be discovered. If earth was round, why didn't people fall off? It needed a huge leap of faith to ignore that issue. There are other reasons, why such a broad concept remains unattractive to science. At the outset, science sensibly avoids broad visions. Scientists, who speed read journal abstracts by the hour, mean no ill. They painfully trudge for years up varied alleys and peer through, mostly to find they are blind. Thousands of failed experiments burden their minds. Faced with constant and tedious toil, they know that beaten paths save valuable time. In such a world, it is annoying to suggest leaps of faith. Only small incremental visions are accepted. Not huge insights, like pattern sensing by the mind. With damage to a small sliver of your cortex, you cannot keep your eyes closed and recognize a pair of scissors by touch. Medical text books place responsibility for recognition of objects by touch to that bit of your cortex. There is another organ, which recognizes the significance of a smell and still another, dedicated to just recognizing hand movements. Can you imagine a mathematical formula, which can recognize the anguish in a colleague's face? Mirror neurons do exactly that. Science acknowledges that huge sections of your mind just recognize things. Recognition can also explain human memory. Actually, nature's miracles depend on vast coded memories. If the DNA codes in the human body were written into 500 page books, those tomes will fill the Grand Canyon 50 times over! Those codes build your eyes and your finger nails, among other things. You can recognize a pair of scissors by touch, because you remember how it feels. Which means your system has a memory for that feel. Memories are the key to intelligence. In 2004, a Nobel Prize was awarded for the discovery that the mind recognizes smells using a combinatorial code. In theory, such codes can store astronomically large memories. Actually, the whole mind senses patterns and acts using the the same process. But an acceptance of that idea again needs a huge leap of faith. But, intuition itself is yet to be discovered and evaluated in detail by science. Professor Carver Mead of CalTech once predicted that science could discover it by 2050. This website offers an explanation, without your having to wait that long. Again, you need a leap of faith to accept the possibility that intuition is a simple algorithm. This website also breaks with science to suggest that specifc regions in the brain focus on specific functions. Scientists report activity in many regions, when any function is performed. They reject the concept of functional independence, viewing the mind to be an integrated computational network. But these pages build the structure of the mind on functional regions. The olfactory system distinguishes odors. The amygdala triggers fear, or anger. The insula initiates social emotions. The cerebellum coordinates habitual actions. The prefrontal regions deliver unemotional judgments. These regions must be independent, because their damage cause the related functions to largely disappear. 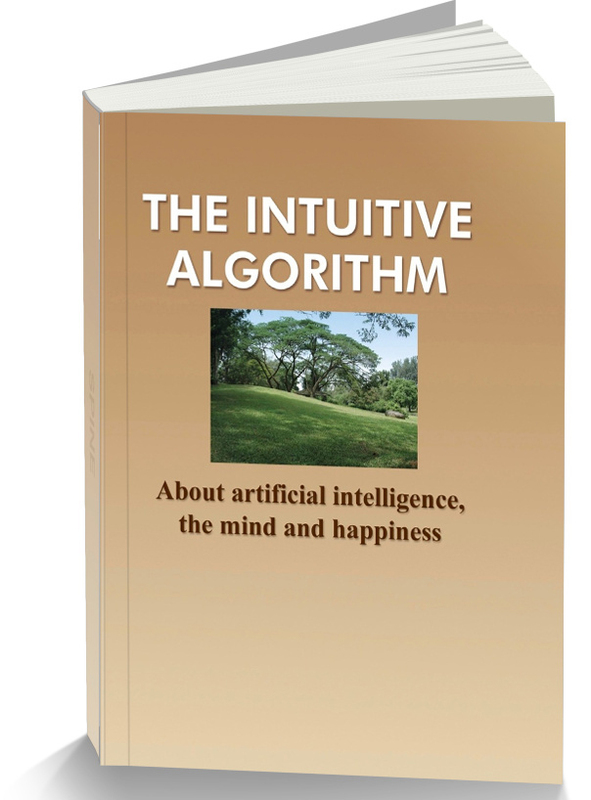 Intuition and combinatorial coding, as explained in these pages can enable complex teamwork among such regions. This view of functional separation brings clarity to how the mind perceives, interprets and responds to the environment. If this is “over simplification,” then, so be it! This website also does not follow the scientific route in presenting experimental data. A science paper has to be peer reviewed and extensively tested. This website does refer to the success of its ideas elsewhere. But, many of its concepts have not been scientifically tested. Yet they reflect general personal experience. The results are presented on the assumption that human minds are similar and what is applicable for one will be generally applicable for another. You are bound evaluate your own experience and decide if the ideas are valid. That is the best way to recognize the overall pattern of the concepts here. It was Glen Kezwer, who advocated using your mind as a research lab to study experience. "The cost to the government exchequer and the people is nil, no research grants need be applied for, no progress reports are necessary and there is no need to be concerned about the renewal of funding. There is also no pressure to publish papers, technical reports or books on the experiment." These pages contain both known scientific data and a host of assumptions. Except in a few places, references to scientific journals are not provided to validate data. Such explanations have been avoided, because wading through a mixture of "scientific certainties" and "unproved theories" could prevent you from sensing the grand underlying pattern. But, in every case, "unproved theories" refer to Kezwer verifiable experiences. You can personally ascertain its applicability. The objective of this website is to make the contents readable to a lay person with an abiding interest in improving the quality of his life. An explanation aimed at pure science will contain medical and software terminology associated with neurology, computers and the mind. That will make it obscure and inscrutable to the layman. Such jargon has been avoided. For the sake of simplicity, explanations of internal linking mechanisms of the mind have also not been detailed. Terminology has been minimized to avoid subtle barriers to understanding. These pages aim to enable an ordinary person to genuinely benefit from a new global view of complex neural processes. This page was last updated on 19-Oct-2015.